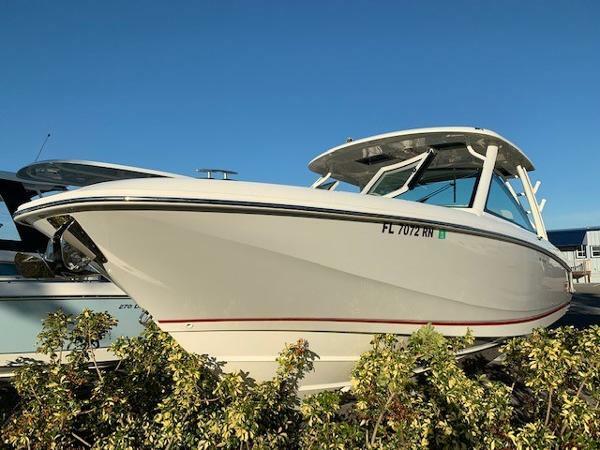 2017 Boston Whaler 320 Vantage w/ T Mercury 300 hp Verados (45 hours) & bow thruster. 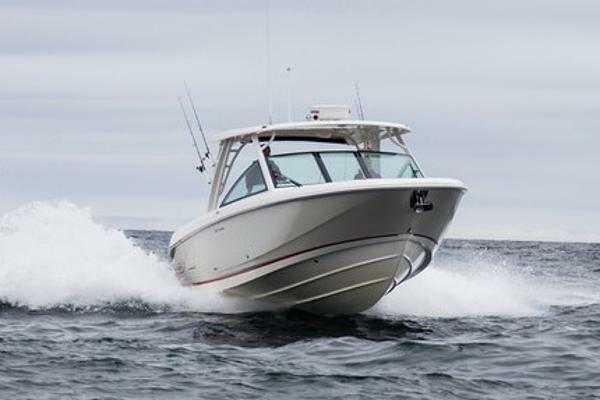 The 32 Vantage is one of Whaler's most popular dual consoles. 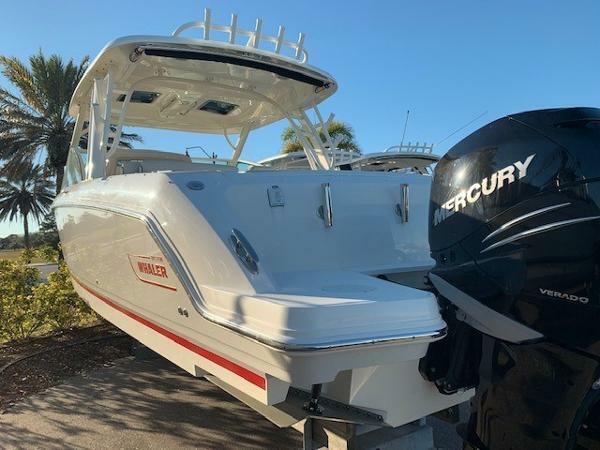 This sport utility offers a great ride and performance thanks to the accu trac hull and T- 300 hp Verados. 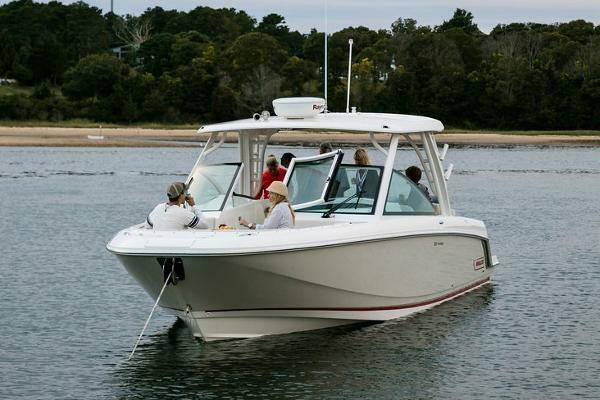 She is ideal for day cruising or fishing. 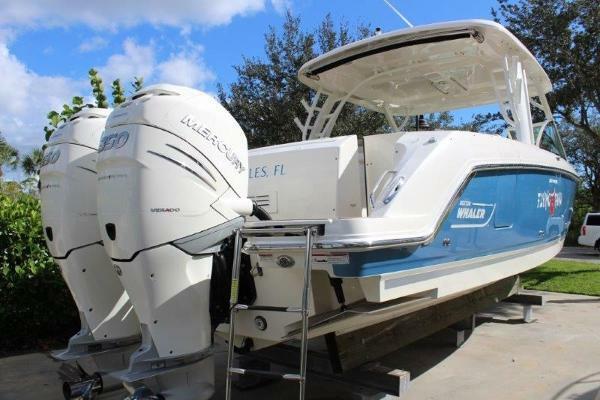 Boat is fully detailed and motors serviced. ready for sun and fun. Factory Options: * Mercury 300 hp Verados * Light gray colored gel hullsides * Fishing Pkg * 7" vessel view display * Premium audio stereo * White rubrail w/ ss insert * Bow thruster * Dive door * Windlass * Aft sun shade * Raymarine GPS- fishfinder * VHF radio * Full canvas cockpit enclosure * Cockpit & bow cover * Cockpit refrigerator * Cockpit table * Bow table w/ dedicated storage & more Cutting-edge features, great capacity and easy adaptability are hallmarks of the dual-console 320 Vantage®, winner of the National Marine Manufacturers Association’s 2015 Innovation Award. 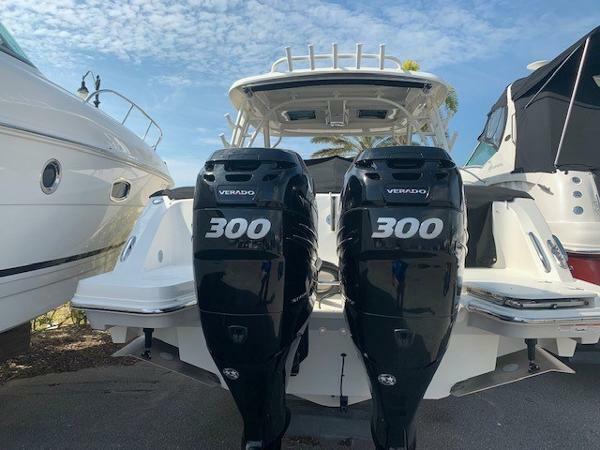 Rock-solid control meets the ultimate in versatility and comfort with the many accessories and options the 320 provides. 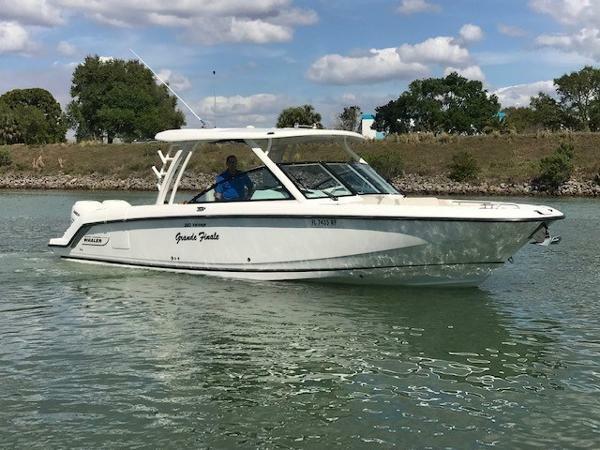 Serious fishing, joyful entertaining, day-long watersports or cruising and even a place to sneak in a nap or an overnight stay–the 320 is ready for your day. When the softest, safest ride meets the best equipped dual-console around, new possibilities become eminently possible. MAJOR PRCE REDUCTION!!! $20,000. 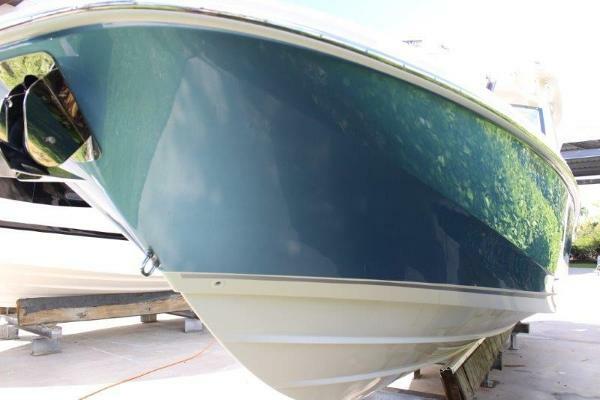 This beautiful Abaco Blue 320 Vantage has been indoor kept and Captain maintained with only 90 hours. 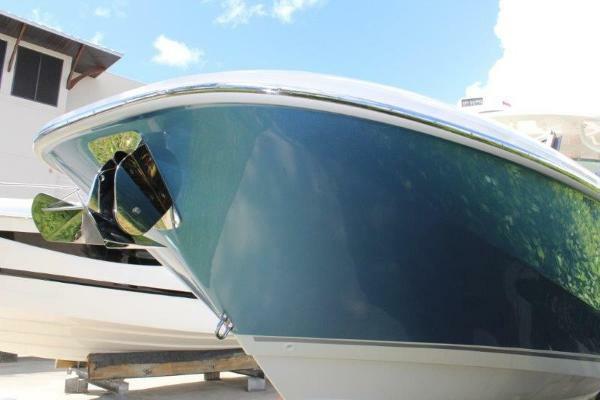 She's equipped with twin mercury Verado 350's with Joystick piloting. 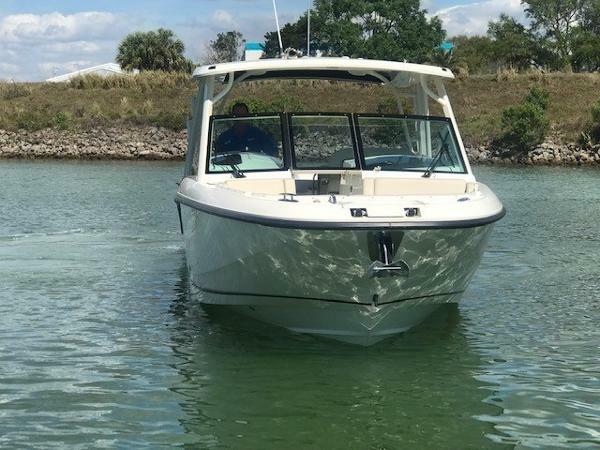 The joystick gives complete control when docking, Skyhook which keeps the boat in one spot while waiting for a bridge or preparing to dock and Auto Heading which is a very simple form of an auto pilot. 2) 12" GPS Raymarine chart plotters and VHF. Satellite radio Raymarine closed dome Radar Spot light Kohler gas generator w/AC Synthetic Teak cockpit flooring Deluxe prep station w/livewell Beach boarding ladder Automatic sun shade Underwater lighting Premium Audio package From Boston Whaler: Cutting-edge features, great capacity and easy adaptability are hallmarks of the dual-console 320 Vantage®, winner of the National Marine Manufacturers Association’s 2015 Innovation Award. 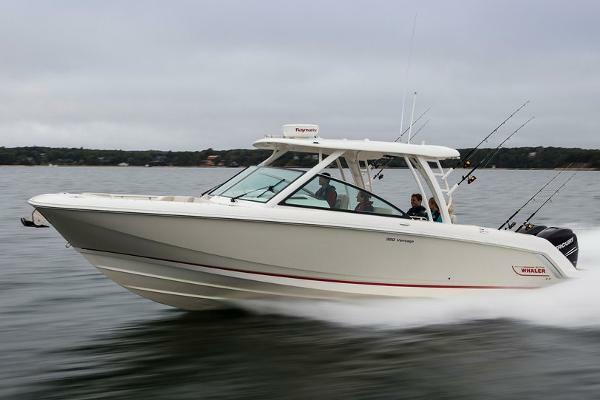 Rock-solid control meets the ultimate in versatility and comfort with the many accessories and options the 320 provides. 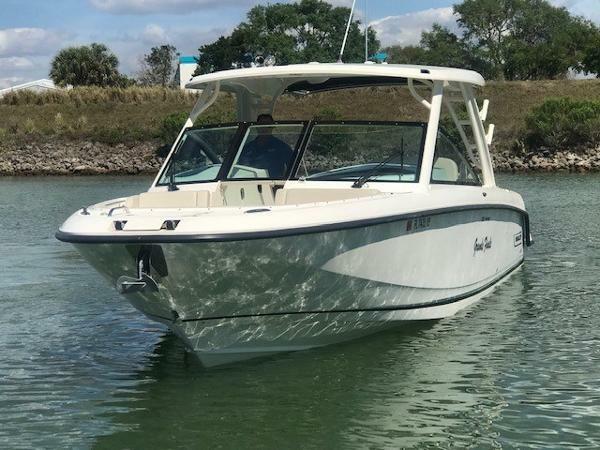 Serious fishing, joyful entertaining, day-long watersports or cruising and even a place to sneak in a nap or an overnight stay–the 320 is ready for your day. When the softest, safest ride meets the best equipped dual-console around, new possibilities become eminently possible.